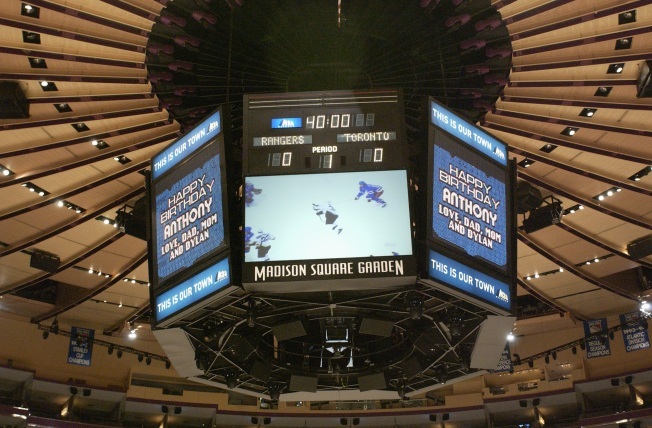 Cablevision Could Spin Knicks, Rangers, MSG into New Co. Imagine a Garden without the Dolans. Cablevision announces their second-quarter earnings on Thursday, and sports fans should be interested in what they have to say about the potential spinoff of their Madison Square Garden assets. In May, the company said they were considering splitting off those assets -- the Knicks, Rangers, Liberty and Garden itself, among other things -- from the core cable business, and Bloomberg News reported Wednesday that they will be doing just that. That doesn't mean James Dolan's reign of error would be coming to an end. The new company, reportedly called Madison Square Garden, would be a spinoff to existing shareholders, not to a new ownership group. It's possible they could sell the teams and the Garden, of course, but it is more likely that they're removing those assets to explore deals involving the cable business and that it will be business as usual above Penn Station. There could be another reason for the move as well. Cablevision has drawn some negative regulatory attention for their refusal to play nice with Verizon about the phone company's new cable service. They're refusing to sell Verizon the rights to Knicks and Rangers games in HD, and that's got antitrust investigators interested in taking a look. This spinoff would include MSG Network and would take the heat off the parent company. There's also the pending renovation of the Garden, which won't be cheap. It could be financed through a stock offering in the new company without dragging on the bottom line of Cablevision, which is expected to report lower earnings this year. In short, these are all business matters and should be barely noticable to anyone watching Knicks and Rangers games later this year. Or, in the case of the Knicks, if you're lucky enough to have Verizon and aren't watching their games.